Memphis needs Bridge Builders, and Bridge Builders need you. The true cost per student for one year of Bridge Builders participation is $1,000, but support from friends like you ensures no student will ever be turned away based on financial need. Recurring donors are BRIDGES’ biggest heroes. Your sustaining support allows us to make the smartest, most strategic long-term plans for generations of Bridge Builders to come. Click here to set up a hassle-free monthly donation. Every little bit helps! Contact Vice President of Development Melissa Whitby at 901.260.3760 to for more information on supporting BRIDGES via your will or trust. Dedicate your support of BRIDGES in honor of a loved one or in the memory of an inspiring individual. We host multiple large-scale events per year, reaching thousands of local youth. To explore event sponsorship opportunities, contact Strategic Partnership Officer Jeremy Andrews. Many companies and organizations will match charitable donations by their employees. Contact Jeremy Andrews to explore your options for doubling your impact. 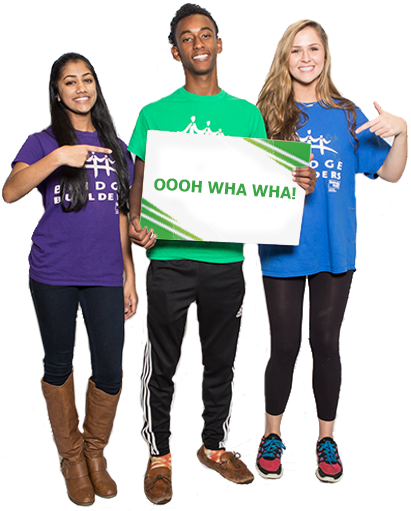 You can support Bridge Builders programs without spending an extra dime! Thanks to charitable giving programs from companies like Amazon.com and Kroger, a percentage of your everyday shopping totals can benefit BRIDGES. Visit AmazonSmile and Kroger Community Rewards to select BRIDGES as the beneficiary of these corporate giving programs! On Tuesday, Nov. 15, 2016, BRIDGES celebrated National Philanthropy Day with the conclusion of a six-year campaign to establish a $20 million endowment. 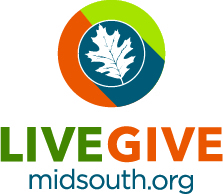 The fund now provides $1 million per year in annual operating revenue to ensure the endurance of one of Memphis’ most unique and respected non-profit organizations. We may have accomplished our initial match goal, but it doesn’t end there. Learn more about how ongoing gifts to our endowment fund will make Memphis a better place to live, work, and play for us all. We’re so grateful for your support, and we’re at your service! If you have additional questions about your contribution or would like help BRIDGES identify additional donors, please contact Vice President of Development Melissa Whitby at 901.260.3760. Thank you!